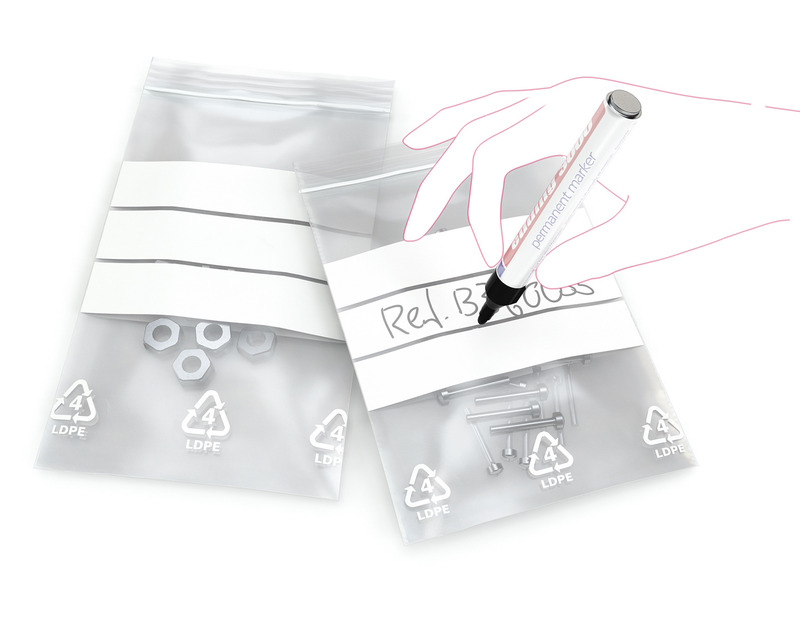 Measuring 55 x 55mm, these handy Minigrip Bags are perfect for convenient organisation. Just fill them up with stationery, snacks, ingredients or components and press down to fasten the interlocking seal. Then you can add your own title on the white strip for easy identification and organisation. The plastic material provides sturdy protection and a clear view of the contents.